Trucking is a classic American job that has a long-standing tradition in this country. The vastness of land, our massive population and the large amount of goods we consume makes truck drivers essential to the Savannah region, Georgia and U.S. economy. With looming shortages of drivers, the technology needed to fully automate a 16-wheeler safely is not ready yet. Automation is a phenomenon that has been drastically changing job markets and economies around the world. Jobs are quickly disappearing as machines become more and more advanced, and the rate at which technology improves is only speeding up. The transportation industry may be the next to see massive changes caused by automation. Self-driving cars are already on the market, with companies like Uber testing their fledgling fleets on the open road. The average American driver may be slow to give up their personal cars for autonomous ones, but freight companies may be less hesitant to switch their fleets over if it means potentially increased productivity and reduced accidents. Daimler tested their first semi-autonomous truck in 2015, and Mercedes-Benz already has plans for an almost fully autonomous truck that should be road-ready in 2025, according to their website. 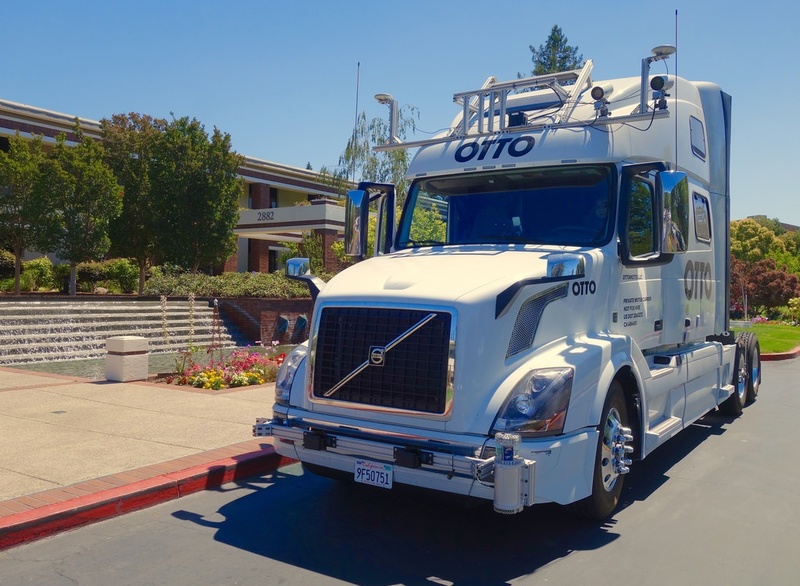 Both of these systems were designed to take over for the driver on long-distance hauls on open roads, with drivers still being present to take over for city driving, parking, and emergencies. For now, an experienced and trained driver is still needed to ensure both the truck and others on the road are safe. Functioning similarly to autopilot on commercial airlines, the system would take over for long stretches of highway, allowing the driver to use the cabin as an office even when on the road. This is intended to increase productivity and reducing driver fatigue on the open road. The short-term outlook for truck drivers is bright. With a shortage of truckers in the U.S. rapidly growing, the demand for truckers is increasing, ensuring better pay for anyone in or entering the profession. With new advancements in technology, the workload truckers face could soon be lessened, and their role as mobile logistics experts will be expanded. Truckers being completely taken out of the equation is still far from being the reality we face in the next 15 to 20 years. The new tools presented by technology will rapidly improve productivity, effectiveness, and safety for over-the-road truckers and everyone else on the road. Being replaced by a machine is a reality that faces more and more workers with every passing year, but we are a long way away from machines being able to take on all of the responsibilities that humans have. We will always need qualified people who can supervise, maintain, and correct our machines. Check out our application for drivers on our website. The logistics industry is not going to disappear, it will only evolve. As machines grow more autonomous, the role of the trucker may change, but the need for experienced, hardworking individuals in the industry can only grow. Port City Logistics is your Savannah trucking company and single source logistics provider. Contact us today by clicking here or calling 912-298-7150.